Crickner also built in Brim Hill and Howards Walk, while many other builders were active around hiin, so that in a few years the fields were full. Most houses had four or five bedrooms and an integral garage, for each householder aspired to a car. Ground floor rooms had solid concrete floors set with pine or oak parquet in herringbone strips, with curved skirting edges to the floors to make cleaning easy. I was always fascinated by the large baths of pitch and the piles of floor blocks, so regular and exact, each timber with its own particular scent. First the men laid the hollow edge-moulding round the room, set in a bed of pitch. Then the underside of each block was dipped in pitch and placed carefully in position. Two lines of blocks all round the room and the centre patterned. It seemed the ideal floor, watertight and warm. The smells of the woods were different from today, for the woods are different. When did we last see She Oak, which is really a eucalyptus, or Andaman Padouk which I once handled daily'? This was the period of the Empire Marketing Board, set up during the economic slump of the 1930s to promote Empire trade. One of the ways in which Britain hoped to claw her way out of the depression was by Empire Preference, for the British Empire then covered a fifth of the world and much of its trade was protected. The Daily Express, owned by Lord Beaverbrook, who was a Canadian with all the patriotism of a person born on the fringe of a great power, carried a red banner headline each day showing a Crusader battling for the British Empire. Australian beef rather than European, Empire fruit carried in Empire shipping, Empire materials wherever possible. The Northern Line electric trains, which were to bring the householders to East Finchley Station, were being built in the 1930s. The carriages, which were in daily use until about AD 2000, had panels veneered in Indian Silver Greywood, Silky Oak from Australia, and Lacewood cut from Canadian Plane trees. Doors carne in their thousands from Canada, as did much of the flooring, but the protection was not complete. Many of the floor blocks found in skips today are in American White Oak and stamped USA. 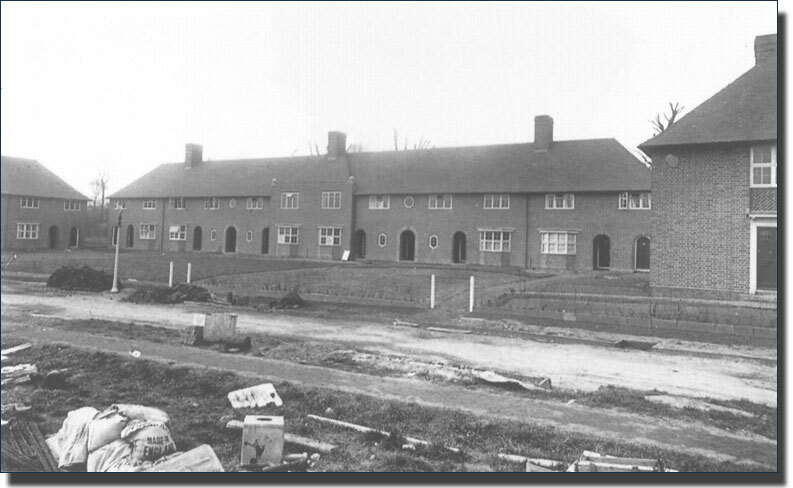 Gradually the houses were completed and people moved in, commuting from their old factories and offices each evening, splitting their lives into two different, unrelated parts. On a warm spring evening they would open the windows and call excitedly to each other to smell the country air. As the months passed the wonder grew rather than faded, for when the gardens became filled with scented shrubs and the perfumes spread, people arriving from work, their senses dulled by town air, were rejuvenated and walked more lightly.